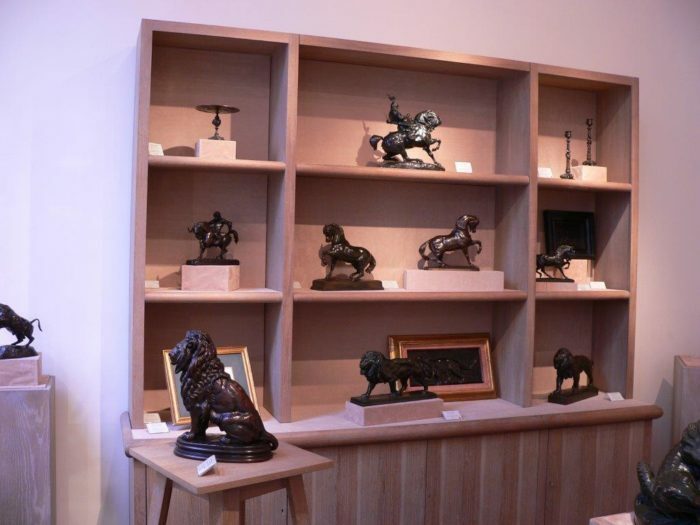 This exhibition brings together a collection of Antoine-Louis Barye’s ‘Cabinet Bronzes’, affording an examination of Barye’s working methods in which the sculptor’s finished atelier bronzes are placed alongside a fascinating selection of Barye’s working models in plaster, wax and chef-modèle casts. 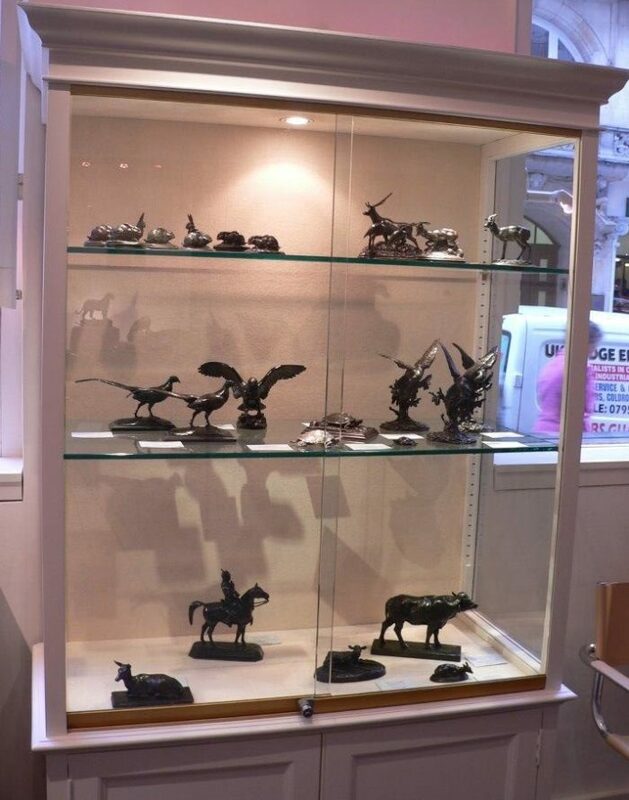 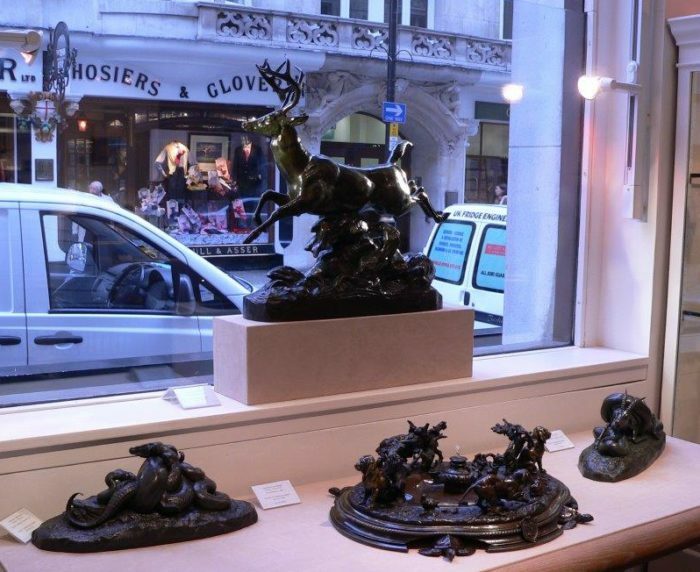 It is a rare occasion to examine the artist’s work from his first impressions to the finished bronze masterpiece. 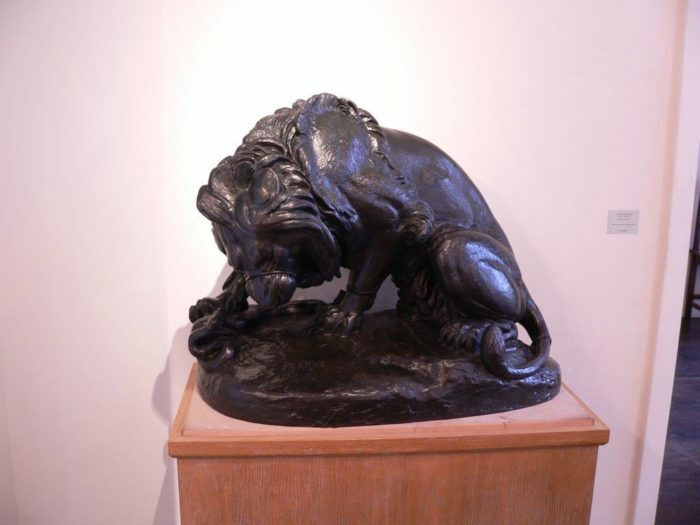 Edward Horswell writes of Barye ‘he was an artist of enormous complexity, who embodied many overlapping tendencies of his age – Romantic, Neo-Classical, Realist and Orientalist.’ The selection of models included in this exhibition illustrate Barye’s broad reach of subject from within the animal kingdom, from the large majestic cats and exotic elephants to the smaller domestic canines and exquisite rabbit studies. 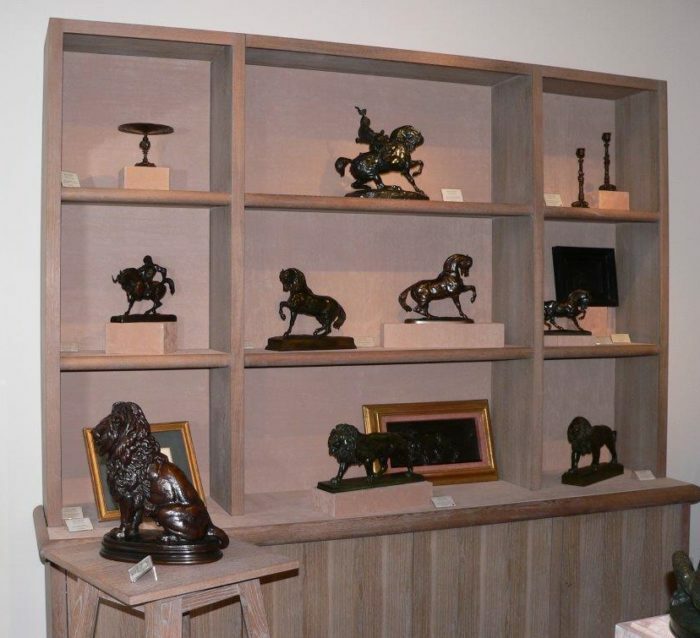 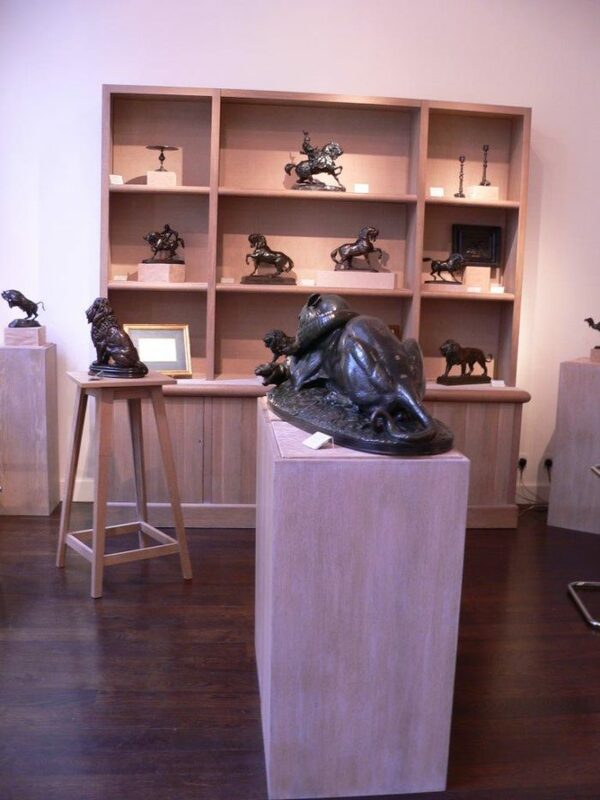 Barye studied his subjects with a rigorous scientific discipline which allowed him to create sculptures which were not only naturalistic but often depicted the animal’s lifelike vigour. 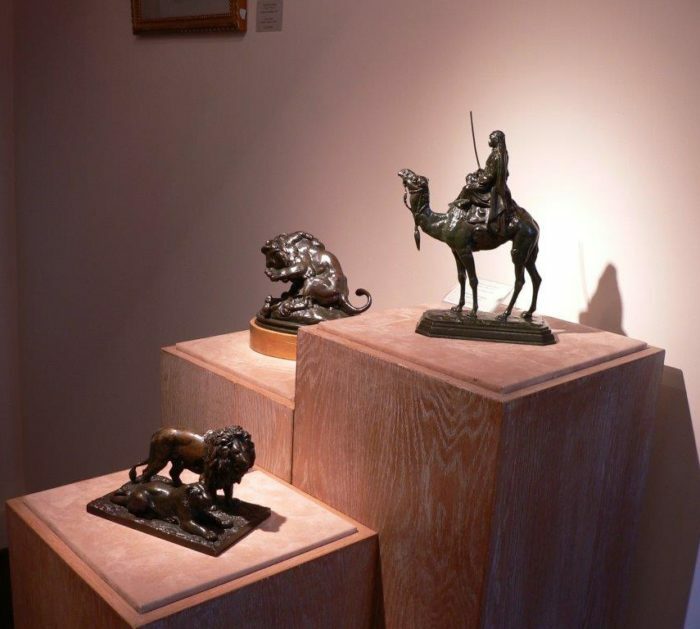 Included within the exhibition will be models such as the 1833 commission ‘Lion and Serpent’ (of which three rare and exceptional quality casts are available); his ‘Tiger and Gavial’ combat scene and several atelier casts of the quintessentially Romantic model of a’ Turkish Horse’, a equestrian pose of arrested power.